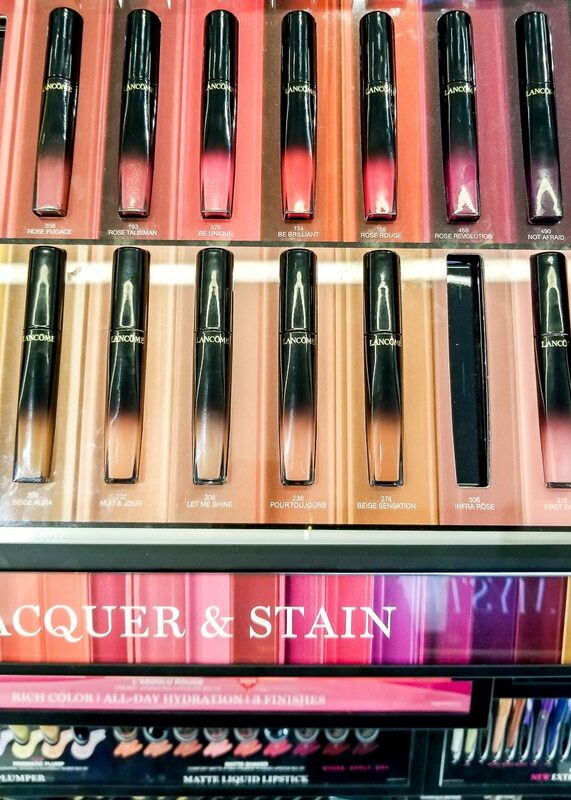 True to claims, the Lancome L'Absolu Lacquer formula feels light and hydrating. 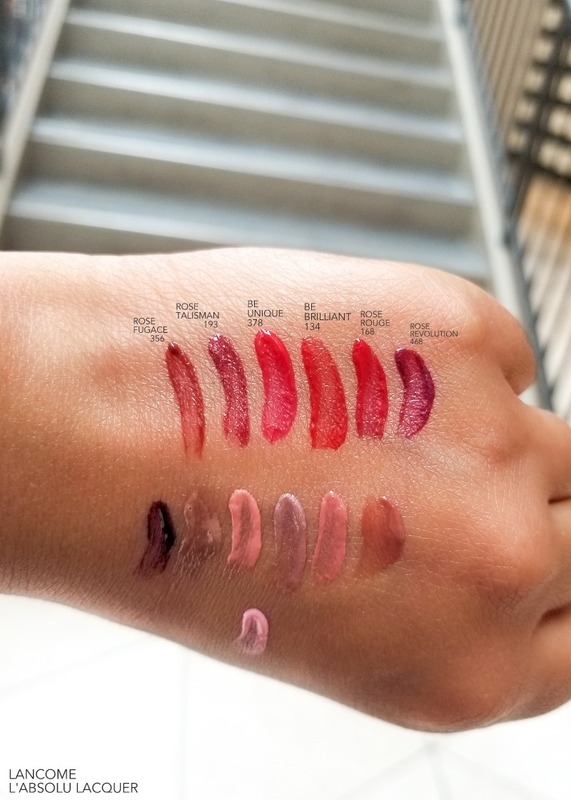 The texture feels thin, and I think they would work wonderfully as lip stains (similar to but less opaque than the YSL Vinyl Cream lip stains). For a more opaque coverage, I would recommend applying in thin layers and building up rather than plopping on a whole lot of gloss. 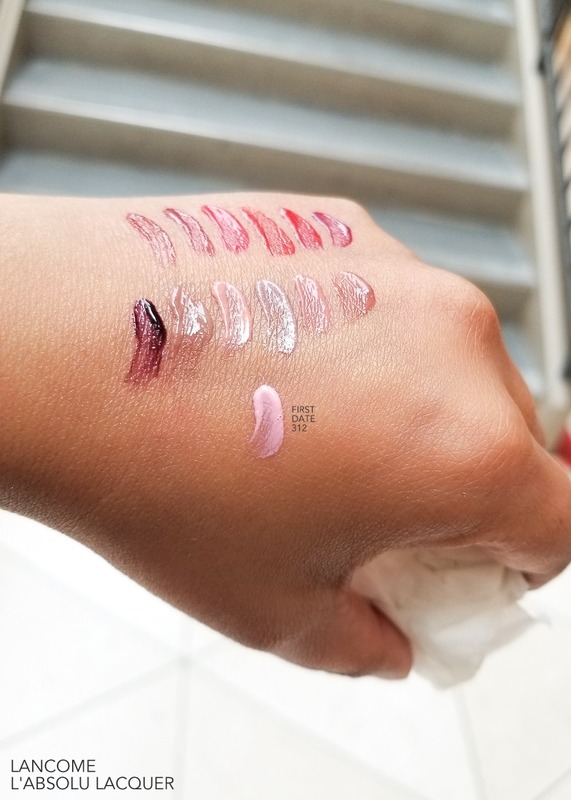 The swatches left a stubborn stain on my hand, so definitely long-lasting. 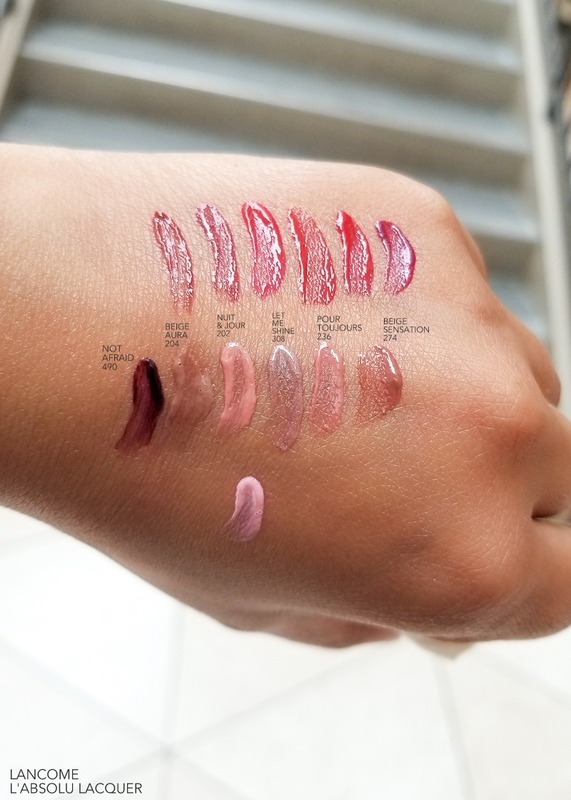 The color range is a mix of darks, neutrals, and some lighter shades, and overall, I think this is a nice pick for anyone who loves lipglosses but wants a little more color payoff.